Leadership comes in many shapes, sizes and backgrounds. 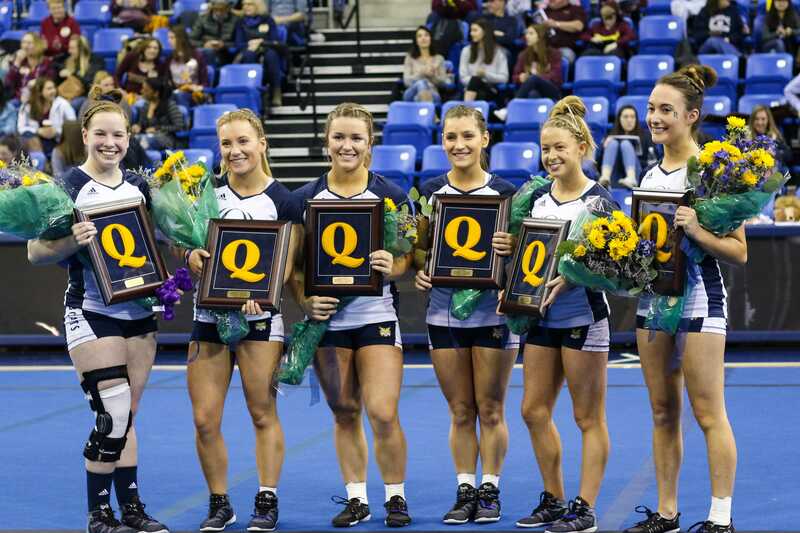 For the Quinnipiac’s acrobatics and tumbling team, it comes from senior top and co-captain Abby Ziser. Ziser is helping lead the Bobcats back to the National Collegiate Acrobatics and Tumbling Association (NCATA) National Championships with both solid play and the right attitude both on and off the mat. 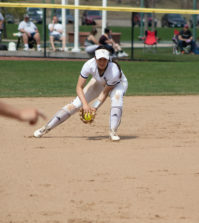 Ziser is a four-year starter for the Bobcats and has claimed several awards in her time at Quinnipiac. 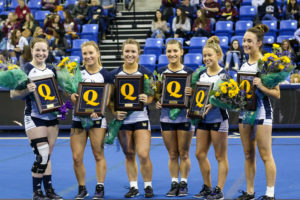 Most recently, she won ECAC Acrobatics and Tumbling Athlete of the Week award for her role in the Bobcats’ first-ever win over the Oregon Ducks. Ziser started her path to the acro mat when she was eight years old as a gymnast. After doing gymnastics for a little while, she took a break and picked up cheerleading. However, she soon realized that she couldn’t stay away from the mat. 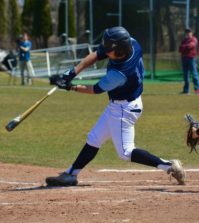 For Ziser, her path to Hamden started her senior year of high school when her coach at North Stars Gymnastics in Boonton, New Jersey recommended her to Powers. Right away, Powers knew she wanted to see Ziser as a Bobcat. Another Bobcat who is showing a similar attitude and drive to learn new skills is sophomore top Melanie Mancini. While Mancini comes from more of a cheerleading background, she has still found success having been named NCATA Specialist of the Week after winning all five heats she was featured in against King University. Being two years older and coming from a different background doesn’t hinder the influence that Ziser has on Mancini. As Ziser is a senior and graduating, her impact on Mancini is helping keep the future bright for the Bobcats. This was made easy for Mancini as Ziser led by example while on the mat even when it wasn’t gameday, according to Powers. But for a leader of any sort, especially a captain, there’s more to leading than just what you do on game day. People value athletes whose leadership qualities are present beyond the box score, according to Bleacher Report’s James Morisette’s. It was qualities like these that resulted in her teammates voting her as one of the four team captains going into this season. While the coaches had some input, this was mostly a result of her peers and the impact she has had on them. As she’s grown from the quiet freshman to a leader, the acrobatics and tumbling team has grown along with her. Not only are more schools adding acrobatics and tumbling teams to their athletic programs, but it’s looking to make its way to becoming a certified NCAA sport. Over her time as a Bobcat, the fan attendance has grown as well. The larger crowds helps to add to the excitement of the sport, according to Ziser. 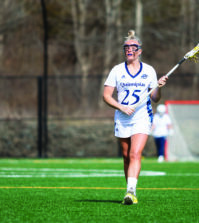 The Bobcat faithful should have a lot to cheer for in the coming years, as it appears that Mancini is set to fill Ziser’s shoes after she graduates and moves on with her education, planning to go to chiropractic school. While they’re both unique individually, both Ziser and Mancini both have similar work ethics, according to Powers.